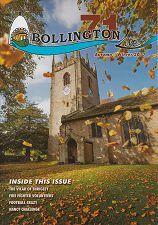 All editions of Bollington Live! are available online! 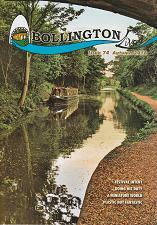 This page provides a link to every edition of Bollington Live! plus special inserts and supplements (shown below as separate documents). Please click on the edition that you want to see. The latest edition is at the top left, highlighted in yellow. When reading the older editions please remember that the names, phone numbers and dates of events are well in the past! You can check up to date contacts in the Organisations pages. Note - If you live in Bollington, Kerridge, Pott Shrigley or Whiteley Green you should be receiving a free copy through your letterbox every four months. Please email or call Janet Beech on 01625−574618 if you're not getting your copy!